This project lets you scroll text on a bank of eight 8 × 8 LED matrix displays. 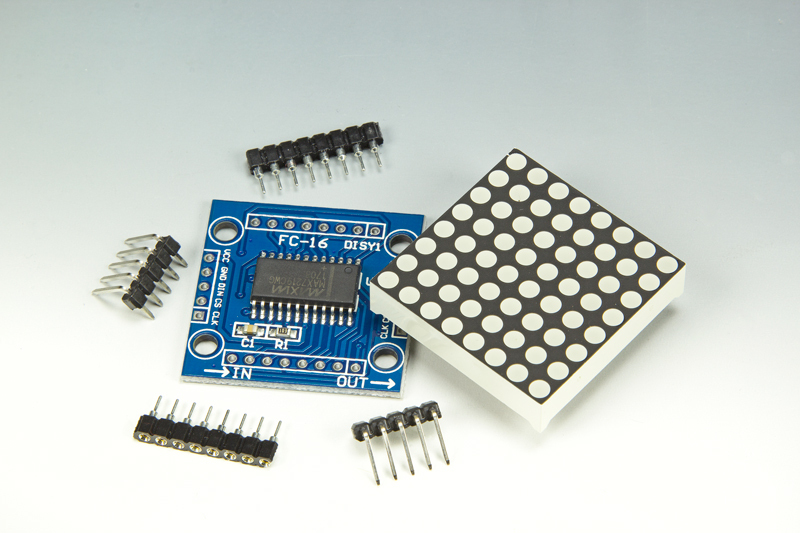 It uses a Wi-Fi module of type ESP-12F (based on the ESP8266), programmable with the Arduino development environment. Thus, from a smartphone or any other device that uses Wi-Fi, it is possible to send to an ESP8266 web server the text to display, the scrolling speed and the brightness. €50 /$60 / £45 approx. ** Attention: rated for 4A; not a standard connector!